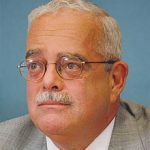 Editor’s Note: The answers to these questions were written by Rep. Gerry Connolly (D-Va.) and do not reflect the opinions of Reston Now. 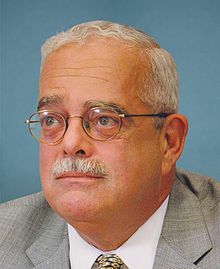 As Virginians prepare to head to the polls tomorrow, Reston Now had a chance to ask a few questions of Reston’s representative in Congress, Gerry Connolly, who is running unopposed for re-election. RN: What do you most hope to accomplish in your next term? GC: Protecting and growing Northern Virginia’s economy has always been my top priority. In my next term, I will continue working to end sequestration, get better pay and benefits for federal employees, and give commuters more transportation choices. Our local economy is a delicate partnership between the federal government and the private sector. My job is to foster that partnership so that both succeed. The good news is our local economy continues to be strong, with an unemployment rate under 4 percent and solid growth. Over the next two years, I’ll continue working to ensure we attract the good-paying jobs of the future by building on our success in technology to become a national hub for cyber-security investment. RN: What effect does the winner of the presidential election have on those priorities? Will they change at all depending on whether Clinton or Trump wins? GC: For the first time in history, one of the two major parties has nominated someone who doesn’t respect the basic norms of our democratic system. He has sought to delegitimize the election results by claiming the vote-counting process is “rigged” and, in an unprecedented manner, signaled that Hillary Clinton’s presidency is illegitimate before it has even begun. Quite frankly, he is a demagogic and authoritarian figure. If elected, he would likely seek to consolidate power and dismantle our system of Constitutional checks and balances. So, if he is elected tomorrow, our job as citizens will be to work to preserve our democratic system of governance against perhaps the greatest internal threat it has ever faced. RN: What do you think are Northern Virginia’s most pressing issues? GC: Northern Virginia’s most pressing issues are ending sequestration and fixing Metro. Those two issues — sequestration and Metro’s decline — have the potential to curb our economic growth over the next decade. Ending sequestration for both defense and domestic programs should be at the top of the list of issues for the next Congress to address. Unfortunately, a small group of Republicans in the House don’t want to repeal sequestration because it provides precisely the kind of indiscriminate spending cuts they want to see. I will continue working with Democrats and Republicans to repeal sequestration. Our Metro system faces a number of challenges — aging infrastructure, lack of dedicated funding, and the complete absence of a safety culture throughout the workforce. SafeTrack has created massive disruptions for Northern Virginia commuters and we haven’t yet seen any improvement in service. That is unacceptable to me and should be to all of us. Metro’s customers — our riders — deserve better from this system and we, as a region, must come together to fashion a long-term solution. Is there anything else you’d like to say to your local constituents ahead of Tuesday’s election? Voters in Fairfax will also have the opportunity to cast a ballot on three bond referendums (Transportation, Parks, and Human Services) and a meals tax referendum that will put downward pressure on property taxes and invest in our schools. I urge voters to support all four measures. Fairfax County continues to be one of the best-managed counties in the nation with great schools, a AAA bond rating, and quality services. These measures will help us continue to lead the nation and provide the kind of quality-of-life we all enjoy here. In particular, the meals tax will diversify our revenue and bring in $30 million per year from nonresidents, including tourists, business travelers and other Northern Virginians who come here to enjoy our restaurants.